Bosch Termotechnika s.r.o. is a manufacturer of boilers branded Junkers Bosch, Buderus aan Dakon, and as a leader in this field permanent innovation is important for it. Therefore, it launched to the market new services for owners of its boilers called SERVIS and SERVISplus+. The core of both services comprises a smart mobile application enabling the customers to have a full control over the service works carried out on the equipment. The application combines informing of the particular parameters, production numbers and other data of the registered boiler and also enables contacting of the service department to carry out the equipment maintenance. Close observing of the individual service agreement terms and length of the warranty for each individual customer is of a great benefit. The application was developed for the Minion Interactive agency that prepared a web and server interface for the service, while INITED Solutions took care of the mobile part. 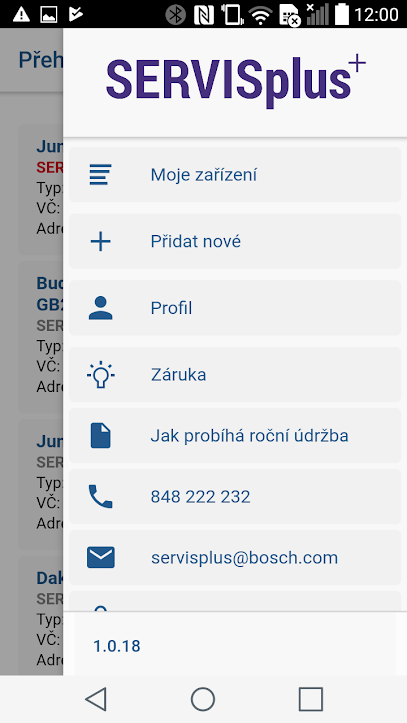 Permanent development of the application enables Bosch Termotechnika to update the service itself, as well as to add new tools to the application designated for efficient marketing communication with the customers..